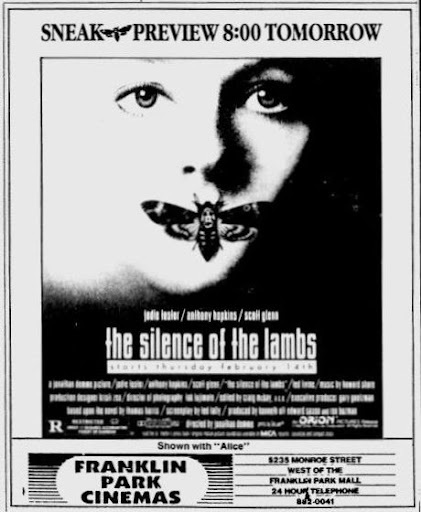 Silence of the Lambs was released on Feb 14, 1991, which makes it 20 years old today. Here are some things you probably never knew about the movie. The Silence of the Lambs book is a sequel to the book Red Dragon. Red Dragon was originally adapted as a movie in 1986 with Brian Cox (left) portraying Hannibal Lecter. Because Manhunter was a flop, producer Dino De Laurentis passed on making Silence of the Lambs and gave away the rights to make the sequel for free to Orion Pictures. The skulls on the Death’s Head moths in the movie are not natural markings. The moths were given coverings with the skull marking. Despite being released in February (traditionally considered a dead zone for Oscar contention), Silence garnered a sweep of the major Oscar award categories including Actor, Actress, Director, Picture and Adapted Screenplay. It is one of only three films to accomplish this sweep (the others are It Happened One Night (1934) and One Flew Over the Cukoo’s Nest (1975)). The rights to the book were originally bought by Gene Hackman in order to star. Hackman decided not to do the movie after doing Mississippi Burning because he didn’t want to do another violent movie. This entry was posted on February 14, 2011 at 8:00 am and is filed under movies, pop culture with tags anniversary, movies, pop culture. You can follow any responses to this entry through the RSS 2.0 feed. You can skip to the end and leave a response. Pinging is currently not allowed. Top Ten alltime. Re-watchable in the extreme. Makes Hannibal and red Dragon good by sheer awesomeness-association. Plus, Jody Foster never looked better. When Anthony Hopkins gets possessed in “The Rite” he totalyl rips off his evil Hannibal voice, and it is sooooo creepy. Also notable for the shortest performance ever to win a “Best Actor” Oscar. I think he was onscreen for 16minutes. The end of Red Dragon is the beginning of the first meeting between Clarise and Lector, and totally works. 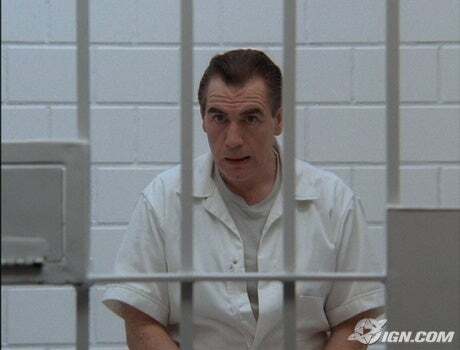 I remeber Manhunter as being a decent, typically Michael-Mann-ish movie in which William Perterson is really good. DeLaurentis told Thomas Harris that if he didn’t write a prequel, Dino was gonna do it anyway, which is how we got the crapfest “Hannibal Rising” which might not have been half bad if the lead actor hadn’t completely sucked donkey balls. How cool! 20 years? Man, I can still remember being scared sh*tless by the scene of Buffalo Bill dancing around with the girl in the well. Some monsters are truly wolves in sheep’s skin. Who knew that this was a Valentine’s Day flick?? Love that it was released on Valentine’s Day lol. Holy cow, that advert was from the movie theater around the corner from our apartment in Toledo when we got married. I actually saw the Sneak preview a few weeks before it come out at Galleria 10. After Silence of the Lambs became a hit NBC aired Manhunter under the new title: Red Dragon: The Curse of Hannibal Lecter. 20 years!! No way. I went to the theater for this. I made my mom take me since it was rated R. I was around 13 years old. EXCELLENT post. This has got to be on my top 5 fav thrillers.